→American Online Jobs Review – Scam or Real Job Opportunity? American Online Jobs Review – Scam or Real Job Opportunity? Welcome to my honest American Online Jobs review! I found this suspicious website while I was searching for work-at-home opportunities to write on my blog. There are many scams targeting individuals who have a superficial understanding of how the internet works and are in desperate need of money. Is this the case with American Online Jobs? Is it a scam or legit? First of all, I want to make it clear that I am not promoting this website simply because it provides very little value. In fact, it can confuse you, and make you give up on the idea of making money online altogether. It can also make you waste your time and money! If you want to know why you should avoid American Online Jobs, keep reading to know my honest opinion about it. Alternatively, you can skip to my top recommended program, which helped me grow a lucrative site and reach $1,000 per month. What is American Online Jobs? Conclusion – Is American Online Jobs A Scam? Because of its name and the fact that there are pre-screening questions on the homepage, American Online Jobs gives the impression that you will apply for a real job and work from home. However, there are no jobs there, you won’t get hired by any company, and what’s worse, you will be encouraged to promote their website without any commission. The truth is that American Online Jobs only directs users to survey panels and GPT (get-paid-to) sites, which are not scams. Their primary goal is to refer you to these websites because whenever you take a survey or complete an offer, the owner will earn a commission. So, if you take a survey that pays $1, they will make around $0.10 – $0.20. Now, there is nothing wrong with recommending survey sites in exchange for commissions, but the way the site is presented surely gives people false expectations of finding a job. You can make money by taking surveys, completing offers and other easy tasks, but they are not real jobs because you are not providing any service. Also, the pay is so low that you won’t be able to pay all your bills with the money you will earn. The only pro is they are currently only referring users to legitimate sites. It’s not a website to search for online jobs. Members are encouraged to promote their referral link without any compensation plan. There is no information about the company. 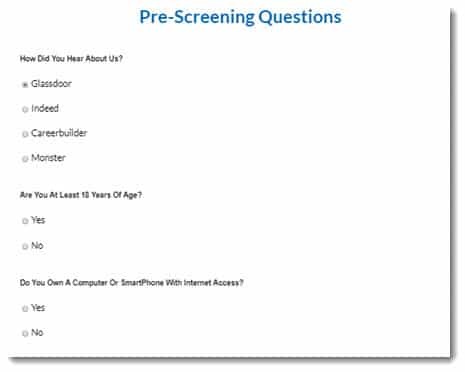 It all starts with a pre-screening questionnaire, whose only purpose is to make you believe you are applying for a job directly via their portal. Be aware there are no terms and conditions, or any information about the company, which indicates a severe lack of transparency. After you click on the “apply” button, you will be directed to a survey site (currently Global Test Market), where you can sign up to start receiving survey invitations. Each survey usually takes 10-15 minutes and is worth $0.50 – $2. The problem is that you will waste a lot of time answering questions only to discover you are not qualified. If you have tried surveys in the past, you know how frustrating it is. 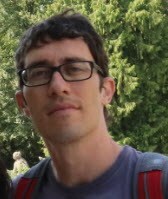 In step #2, the guy will encourage you to sign up to a GPT platform called InboxDollars, which allows you to fill out surveys and complete offers for cash. There are also 8 additional websites you can join such as Toluna, MySurvey, SurveyVoices, OpinionOutpost, Opinion City, e-Poll and Pinecone Research. All these sites are legitimate, but be careful with Opinion City, and don’t expect to earn a decent income from them. Next, you will be taken to a registration page to receive dubious affiliate marketing training. Tired of scams and useless strategies to make money online? Check out my No. 1 Recommendation HERE! 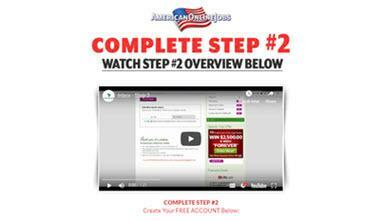 In the registration page, American Online Jobs claim you will begin earning $300 – $700+ per week after the training. After providing your name and email address, you will land on the member training area, which consists of 9 video lessons. I have watched all the lessons, and I can tell you they are very superficial and not well-structured. You will learn basic concepts of affiliate marketing, also known as referral marketing, and how to promote your referral links. The strategies of promotion include Facebook ads, Youtube, Pinterest, Instagram, and Craigslist. 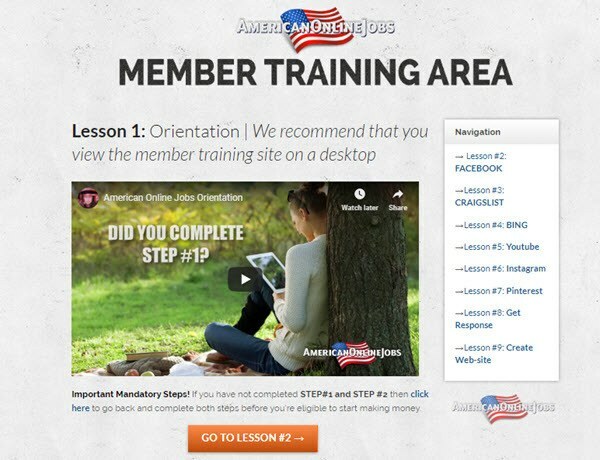 They keep reminding you to sign up to those survey sites, but at the end of the training, they will provide a referral link to promote American Online Jobs itself. The problem is that I haven’t seen any compensation plan on their website, so I am confident you won’t get paid for promoting it. It doesn’t make sense to earn any commission from American Online Jobs because the site is free and only generating commissions as an affiliate. So, if someone joins American Online Jobs through your referral link, the company won’t be able to track earnings from your referrals every time they earn money on third-party survey sites. But the worse is yet to come, folks! The worst part is that the training encourages you to promote your referral link using paid ads. More specifically Facebook ads and Craigslist. There is no in-depth information on how to do that, only vague stuff. But that’s not the main point! The problem is that members are enticed to promote American Online Jobs without any compensation plan. Did they tell you how much you will earn per referral? No, they didn’t! So, don’t waste your time and money trying to promote a website that is not willing to pay you. What you can do is use your unique referral links that you automatically get when you join the other survey sites. These other sites will pay you to promote them, but still, I don’t recommend using paid advertising because the commission is very small. It’s important to highlight that there is no money to be made directly from OnlineJobsOnline.com. These guys are just funnelling you to these third-party survey sites to earn commissions, just like SurveyCompare and SurveySpotter. The amount of money you can make with surveys and offers vary greatly, but personally, I never made over $50 per month. There are people who make over $100, but it’s tough to achieve that! I can’t make such a claim, but they do have many ingredients to be one. They are not selling any product with the promise you will become a millionaire as Million Dollar Replicator does. However, they make it seem like a real job application, when in fact, it only connects you with survey sites where you can earn less than $4 per hour. What’s worse, they are suggesting you pay for ads to promote their business without any compensation structure, which is unacceptable! They also suggest creating youtube videos and promoting on social media, so in this case, you will waste your time. I don’t think this website will operate for a long time, but I hope this post helps more people understand how this business operates. 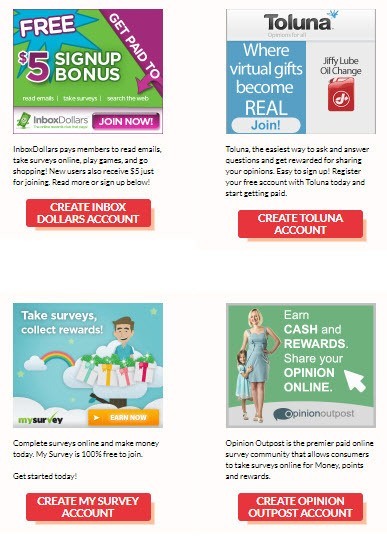 I used to take lots of surveys to earn an extra income back in 2015, but it was very time-consuming! It helped, but not much! Then, in July of that same year, I came across a step by step program that showed me how to create a website from scratch, get traffic to it, and make money as an affiliate marketer. Their free starter membership helped me understand the affiliate marketing model and the potential to reach a global audience. After I understood the process, I decided to invest in the premium membership to get the complete training, unlimited support, and tool to grow my business. That’s how My Room is My Office was created, and I feel grateful for this opportunity! So, how do I make money? When people visit my site in search of a review or other information, they can click on these links to visit the merchant’s website. If they make a purchase, then I earn a commission at no extra cost to the customer. It takes time and effort to grow a lucrative site, but in my opinion, it’s well worth it! 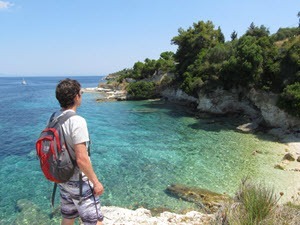 An online business allows me to make money while I am travelling the world, which is my biggest motivation! Another advantage is that I don’t rely on any day job to pay my bills. In other words, I make money on my own terms! Well, thanks for checking out my American Online Jobs review. If you have any questions, please let me know in the comment section below. Great review. I actually tried this before and yea it was a huge time waster. And I didn’t make enough to even get a payment. The other site you promoted looks like a winner. Something definitely worth checking out. Thanks for the info!